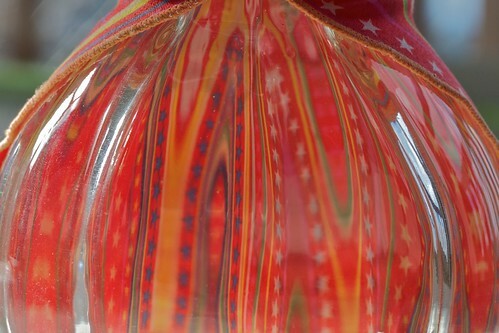 Looking at some stripy fabric through a glass vase. Distortion achieved. Through the looking vase, originally uploaded by rattyree.